I picked up some VERY LONG (almost 3 feet long) morning glories. 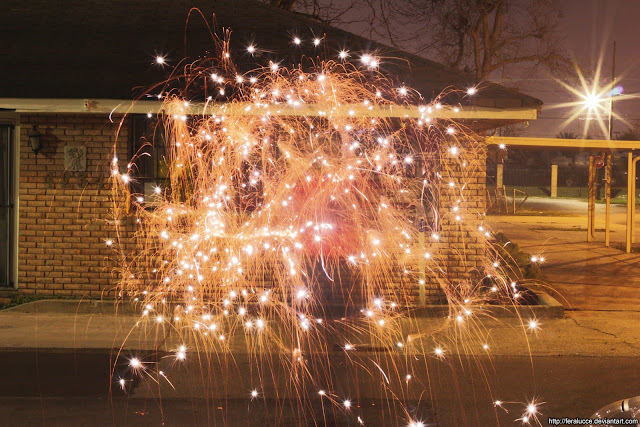 If you don’t know what a morning glory is… it’s kind of like a sparkler, but with more oomph. My lip already trembling with disappointment… I lit it. I lit it and there was much glee. 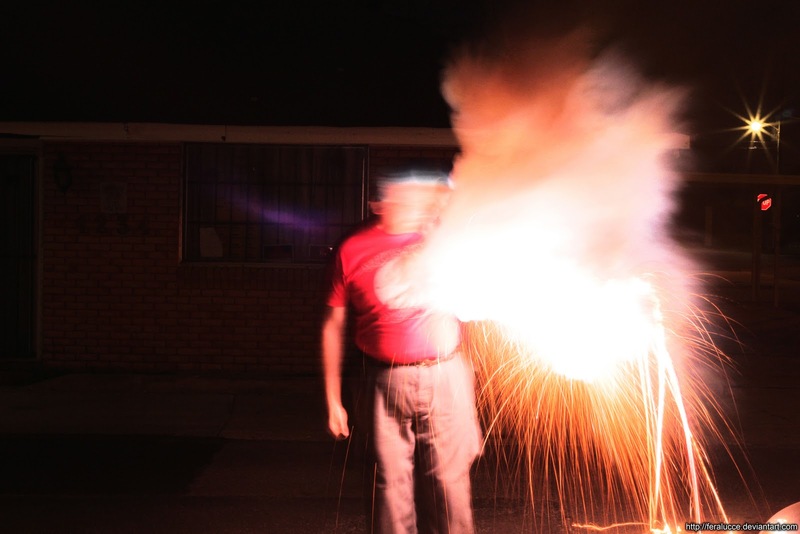 There was colored fire, sparks and shooty-poppy-starbursty bits. It was… awesome. I took some time lapse photos of the actual event. They… Like the morning glory, are amazing. It was one of my worst ideas… I should have known better. 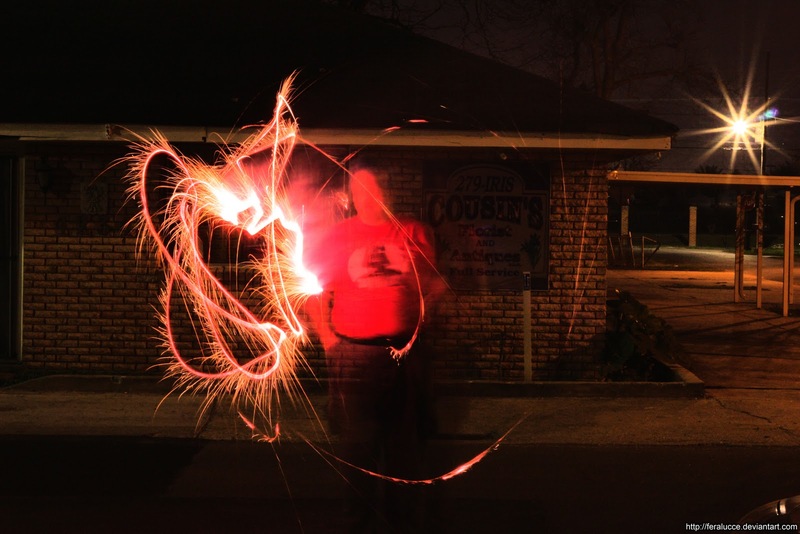 After I had gotten my pictures with the morning glory taken, I decided I was going to take the short lived, sad excuses for sparklers I had gotten the other day and burn them. 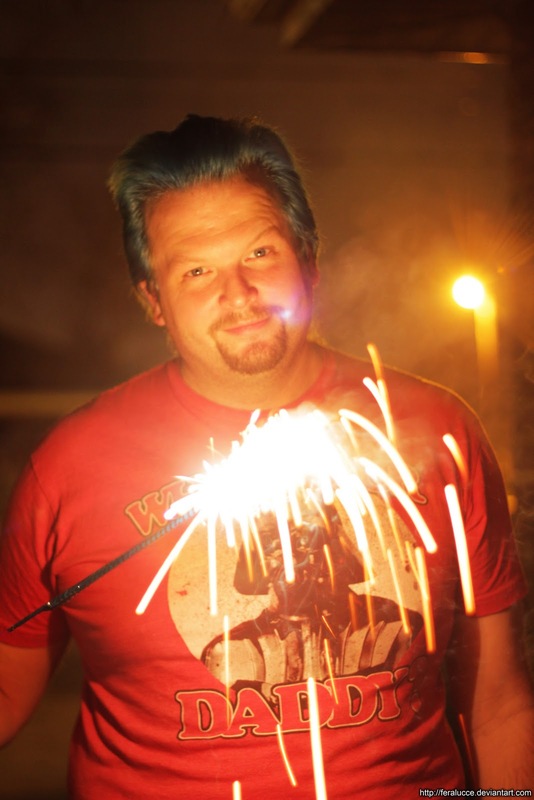 I was going to light them and enjoy them… ALL AT ONCE. And it was… it was exactly that – a fireball… Of. Epic. Proportions. This is not a reenactment – this is the actual event. I would even do it again, but I’m crazy like that!